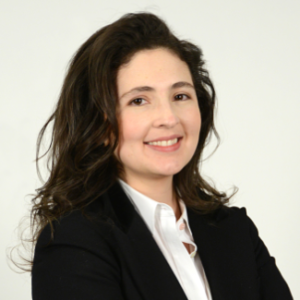 Lina Zuluaga is the founder and director of applied research at TalentoLab, a one-to-one career bridge. Woolf and TalentoLab– the first blockchain university with the first global career bridge– were recognized by the Department of Education’s challenge Reimaging the higher education ecosystem 2030, as one of the top 25 initiatives that will reshape education in the US. Lina is former Colombian Presidential Advisor and serial entrepreneur in the mass media industry. She has16 years of experience in student career success, advocacy and innovation in Latin America. Her research at Georgetown University is at the cutting-edge of how effective methods of learning design and knowledge management remove institutional silos in industries that must adapt to survive the fourth industrial revolution. She is the president of a non-profit based in Colombia, Fundación Líderes y Emprendedores en la U.